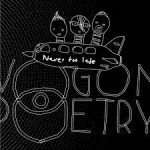 This new EP reveals a title song in the purest tradition of the band on, which they found a perfect balance between EBM and punk music. The typical dry EBM bass line remains one of the most typical and still exciting elements while the screaming vocals are pure punk. I can’t say it’s their best song ever, but truly representative of their sound. But the biggest surprise is yet to come. It’s not about the quantity of the remixes, but about their content. The 5 remixes result from a genius idea where the band brings different periods in music –and mainly electronic music, in the spotlights. It’s a great concept resulting in very diverse remixes. The so-called “Container 80 Version” speaks for itself. I however expected a kind of hard-core remix in the Nitzer Ebb vein, but it’s more into EBM and electro-pop influences from the 80s. The kind of ‘happy-sound’ bass line is absolutely surprising while this remix is also animated by bleeping passages. The “Container 79 Version” moves into pure punk composed with guitar. This is absolutely weird, but still creative and probably revealing some of the band’s main influences in sound. Next comes the “Container 69 Version” which is the biggest surprise as Container 90 here moves into ska. I prefer the more ‘classical “Container 909 Version” getting us back to the essence of electronics –as a reference to the famous TR-909 from Roland. This version is into electro-pop music and already totally different from the original version. Last, but not least Container 90 ends in an unplugged way with the “Unplugged Version” revealing a sweet and somewhat campfire music remix. Conclusion: This new EP is absolutely crazy, but the concept is a damned great idea. 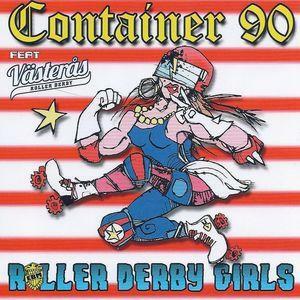 Best songs: “Roller Derby Girls”, “Roller Derby Girls – Container 80 Version”. Aldi Life Musik, Aldi's own streaming platform powered by Napster, launches in Germany, soon in the rest of Europe?